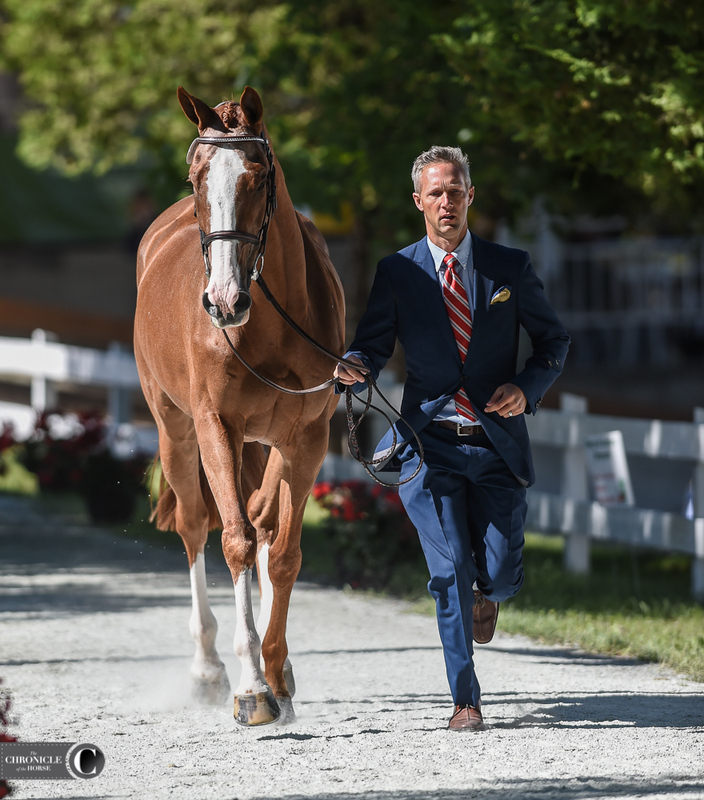 Since he retired his five-star and 2016 Olympic Games (Brazil) partner Loughan Glen from the upper levels in 2017, Clark Montgomery’s been searching for his next top upper level partner, and he may have found her in Caribbean Soul, a 12-year-old off-the-track Thoroughbred mare (Cimarron Secret—Ogygian’s Dasire, Ogygian) that he bought from Maren Foster, who’d brought her up to the CCI2*-L level. Montgomery just moved “Jess” up to advanced, and The Fork is her third start at the level. 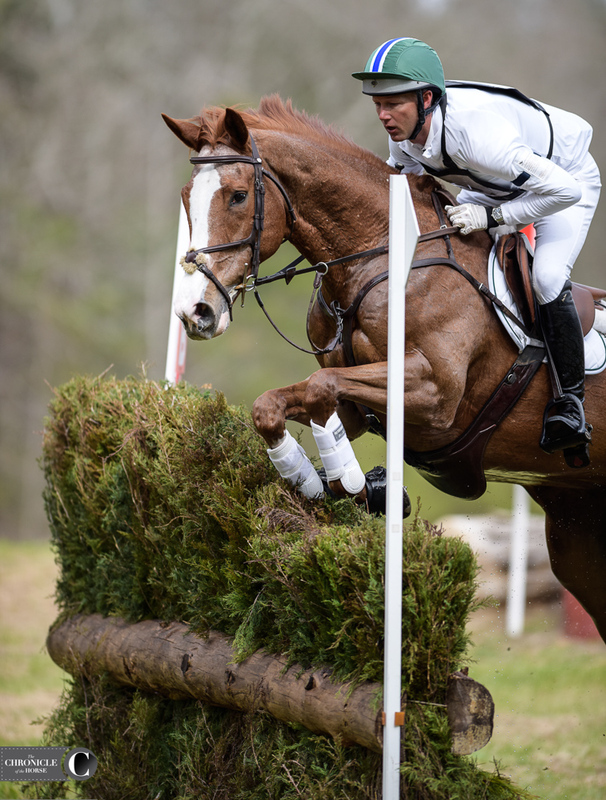 We caught up with Montgomery, 37, at the Tryon International Equestrian Center, where he’s competing Jess, as well as his group of eventers and dabbling in the jumper ring, to find out more about his new talent and his aspirations to jump in grand prix classes. The Chronicle: Tell me about Caribbean Soul. Montgomery: Funny enough, her barn name is Jess [Mongomery’s wife’s name is also Jess]. We got her from Maren Foster, who bought her from somebody who got her off the track as a 5-year-old. Maren moved her up through preliminary and did a super job with laying the base work. She had done such a good job, there’s no way I would have been able to go so fast with her. I got her in September 2017. She’s just fantastic. After Glen [who’s an Irish Sport horse], I was adamant that my next horse would be a full Thoroughbred. Glen taught me so much about the dressage that I thought I could help a horse like her in that department, and she can give me that gallop on the cross-country, which she has. It’s just fantastic. As a kid I had a couple Thoroughbreds, then started riding mixed breeds, which I have no problem with at all, but I hadn’t done a pure Thoroughbred in years. She’s really quirky. She’s gotten away from all of us at least a couple of times. She’s really spooky and funny about putting things on her head; if we’re putting a bridle on, we’ve lost her. She’s not “chestnut mare” mean in any way. She maybe doesn’t trust just anybody that walks up to her. Clark Montgomery and Caribbean Soul. The other side of her personality is that she’s just an incredible fighter, which must come from the track. She raced until she was 5 uninjured, which shows you she must have enjoyed her job. It’s been channeling that desire to please and to fight for you into the more technical sport. It’s been a fun thing to do with her. This will be her third advanced. She’s really careful, which is fantastic, but she needed to stay at the intermediate level [in 2018] for the rest of the season. This year she’s come out really confident. The plan would be Bromont [CCI4*-S], so we’ll cruise around here. She likes to go fast, but she doesn’t need to go fast every time. But she’s careful, so she needs a little bit of speed to feel confident. This is supposed to be an easy event for her. Why did you decide to start dabbling in the jumpers? I think it’s a good thing business-wise to diversify. The longevity of me as an athlete, bodywise, I can go into jumping a bit longer than I can eventing, so I thought it was a good time to start doing that, and I just love it. I’ve always admired it and looked up to those guys and thought it would be fun to give it a shot. It’s been difficult [at the national grand prix level], and I’ve loved every minute of it. It’s challenging. You have to get so much better with your distances. Culino TF [a 9-year-old German Sport Horse gelding of unrecorded breeding] is a super horse, but he’s also super hot. We’re both kind of learning at the same time. Sally Lehnhardt, who owns part of the Caribbean Soul Syndicate, bought Culino for me. Without her support I wouldn’t be able to do this. I do have a 5-year-old [EWSZ Quetina], and she’s just a jumper. We did buy her to resell, so we’ll probably sell her on at some point this year unfortunately, because I kind of fall in love with all of them, but it is what it is. It’s what we bought her for. I think I might bring Culino down for the CSI2* here in May. That would be my first FEI show. In my career, what I struggle with is getting the owner support. As that comes and I’m able to get more jumpers, I definitely will. 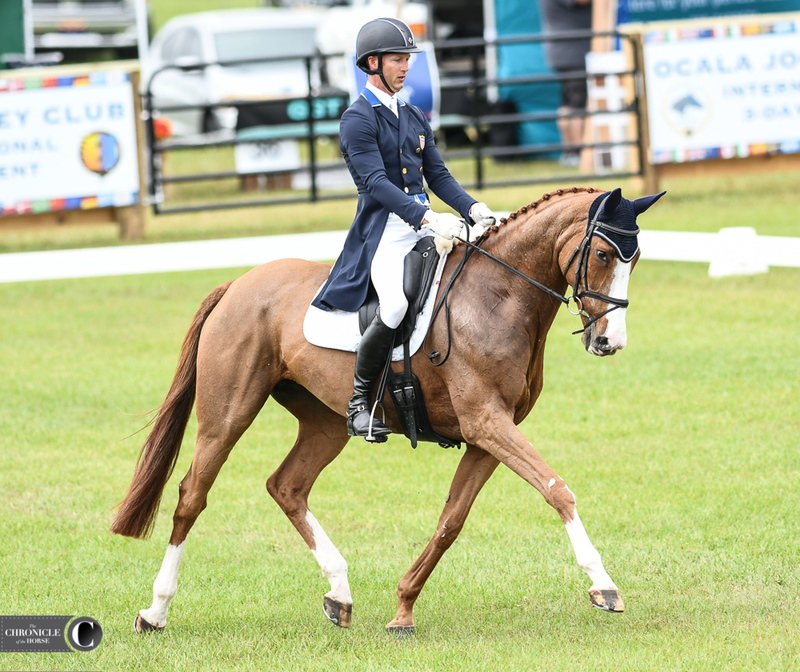 Watch Montgomery and Culino TF in a grand prix at the World Equestrian Center. What was it like settling in Lexington, Kentucky, after you returned from your time in England? It’s been good. They were a really welcoming community, and I was able to start teaching lessons immediately. For going into this career of doing eventers and jumpers, it’s a great city to be in because they do so much at the Kentucky Horse Park, and you’re only two hours from the World Equestrian Center in Ohio, and the Split Rock Jumping Tour, when I get to that level, is in Ohio and Lexington. Tryon is only six hours, and the Horse Park does events about once a month. We’re looking for more supporters, especially for Jess, who’s also for sale right now. As you get older you realize it’s just as much getting the support as it is actually knowing how to ride. You can be the best rider in the world, and if you don’t have the money, you’re not going to do it. What’s Glen been up to? Kelsie Bricker bought Glen. Kelsie stables with us anyway, so I was able to keep him around. It’s been fantastic, and she absolutely adores him. I think he thinks he’s just hit the jackpot, because I think he always thought he would be best at 2’-something instead of what I was making him do! She did some equitation and hunters with him this winter, and she did do a novice with him. She’s desperate to go to the American Eventing Championships with him at novice, so I think she’s going to do that this year. She’s willing to let him do whatever his body is able to do. I ran him in a preliminary last summer, and I got done, and it had been a while, and I realized it was time for me to retire him from [upper level] competition. He did teach me a ton, and when we had everything all lined up, and he was firing on all cylinders, he could basically win everything. It was just a game of making sure all those cylinders were firing at the same time, which didn’t always happen. He was always a trier, to a certain extent! I’m so grateful to Kathryn Kraft and Bill and Holly Becker for letting me ride him.